We arrived in South Africa on July 17, 2008 knowing we had committed ourselves to a two-year volunteer service with the United States Peace Corps. Emotions were high as we left everyone and everything we knew back home and embarked on a new way of life. 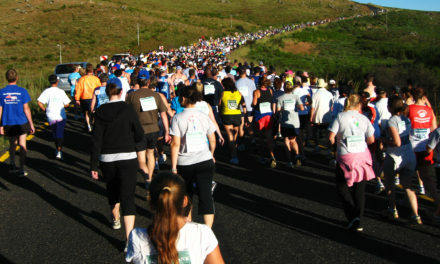 We had no idea all the challenges and joys that South Africa had in store for us. Now we are preparing ourselves to leave, having completed a few months past our two-year term. Over the course of our service, you have read many stories about our experiences here. You’ve read about what it’s like living between and constantly adapting to the clash between the first and third world, remembering how the children from our rural village clung to each other in fear as they tried to gain the courage to get on an escalator at the city mall. Then, of course, there were the animal stories of our chicken falling down our pit toilet and then getting stolen. There was the big day when a hippo was shot in our river and the chaos that ensued as machetes flew around, people grasping for pieces of the meat. And who can forget experiencing the excitement in South Africa for the Soccer World Cup as flags from all over the world waved proudly and the sound of vuvuzelas could be heard from miles away. We will forever have great stories to tell of South Africa, but at the end of our service, it is time to stop and reflect on the work we’ve done. Our primary area we were assigned to is the School and Community Resources Project. As both of us came with teaching experience, we were placed in two primary schools from Kindergarten to Grade 7. Our mission: to help develop the schools in any way needed. Although that mission is very broad, Adam and I worked our way through the new culture, tried many things, had many failures, and finally came out with many successes. As Peace Corps Volunteers, most of us hope to have developed sustainable projects after living and working amongst the people for two years. However, it is a long process. A lot of what we do is through trial and error as we adapt to the new work environment and navigate our way through the culture in which it functions. For those of you wondering what work we actually did on top of all our adventures, here are just a few things that we can smile about, knowing that we have left our schools with skills they can and are willing to replicate. After working on several other projects, I realized that one of my real passions matched one of the schools’ top priorities. So I began my work with literacy. Dumphries as a whole is essentially non-literate; parents do not read to their children and books are not found in homes. Textbooks are in abundance at both schools, provided by the national government. But they’re rarely ever brought out for the learners to use as many of the educators themselves have little idea of how to practically use them. I was faced with a very challenging and often daunting task. So I started small to see the reaction I would get and with the hopes of working up to a greater long-term literacy scheme. I created a small mobile outdoor library and for weeks it was swarmed by learners during lunch and recess. On several occasions, the learners were so engrossed in looking at the books that they forgot to eat their school lunch. From this stemmed the idea to have an after-school Book Club where learners had story time and fun activities to help them remember and interact with the story. Activities have included dramas, games, and even making their own book! After a year, the kids are still going strong. To most people here, a library means a storage room for books, particularly stockpiles of textbooks, where most never get used. After a year of sorting, organizing, and preparing a room, I finally had a chance to open a library at one primary school. Learners were wide-eyed when they realized that they could actually handle the books and the educators were equally impressed to learn how to use the library. They were especially amazed to see how easy it was to find a book on a certain topic. After my orientation lessons, I had the pleasure of watching one of the educators give a lesson in the library: “If you want to learn about Michael Jackson, where would you find the book?” she asked. Hands all over the room shot up and snapped to get her attention. “People,” one boy said with a grin. That was when I knew they were really getting it! It eventually led to a full year’s curriculum I developed where educators bring their learners to the library every week to practice reading in groups and independently. There was so much excitement that once we opened the library after school, we had over 60 learners just waiting to get in! Since we can only allow 20 learners at a time in the library due to space, several of my library helpers had to be bouncers, letting more learners in as some came out while the rest pushed each other to move forward in the line. The other educators and I just sit back and relax as the library helpers run the library all by themselves. I’ve made it a point to simply observe during these after school library times, and have watched as my library helpers chose books for the little ones and read to them. Sometimes they even do miniature lessons with learners to see if they comprehend the books they are reading. After a while, the desire to step back into the classroom returned, and I started teaching English literacy lessons to Grades 2 and 3. Beginning with the alphabet as a review, I learned that most of the learners in Grades 2 and 3 did not know the alphabet and at least half of them could not write their names! My explanation on starting with the alphabet was just as much for the educators as it was for the learners: “You see, if you know the sounds of the letters, you can make those sounds to read basic words.” In response, one educator told me that they never knew they were supposed to start with the alphabet. Another educator has told me she’s already seeing improvement. Over the course of a year, I taught, trained, and observed the educators as they followed the full year’s daily curriculum that I created for English literacy in these two grades. While I focused primarily in literacy, approaching it with every method and from every angle I could think of, Adam dabbled in many different areas. Through the letter correspondence he directed between the Grade 7 learners in Dumphries and the Grade 7 learners in Broken Arrow, OK, sprang the idea to make a yearbook. No school in our area had ever made one or knew what it was. It turned out to be a picture of the learners’ lives in and out of school, with each topic written by a Grade 7 learner in English. Adam must have trekked over 30 miles following the kids to their houses, the river, and the bush to take pictures of every topic covered! 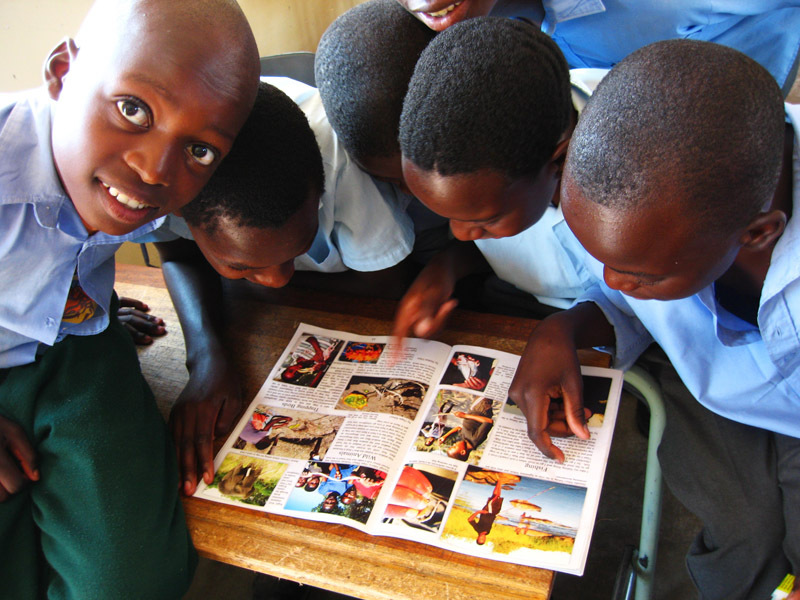 Fortunately, upon completion, a local game lodge (Ulusaba) decided to print the books for free to distribute to each Grade 7 learner at their farewell function (Grade 7 is their last year before high school). Adam and I will never forget watching as the 1,000 villagers who showed up to the function stood in large family groups, enthralled as they passed around and pored over the 62 copies of yearbooks given to the learners. We could immediately feel the sense of community pride. When we first arrived in Dumphries, many people would ask, “How can you live here?” Now people were seeing their community in a new and positive way. Since that day in November last year, thousands more have seen the book and many people still talk about how wonderful it is. On a larger scale, the local game lodge has decided to sell the book to their tourists, with all profits going towards projects in the schools! Then being the art enthusiast that he is, Adam decided to start something that would help him share his love for art. So he created an after school Art Club at one primary school that meets every week. It’s a pretty informal setting where learners can practice art in different mediums while learning some basic techniques. Through several school art competitions and assemblies to recognize the learners’ work, the environment at school has begun to change. Educators are seeing the value of recognizing learners and encouraging them in their abilities and interests. A good example of this was when Adam had a few of his top Art Club learners help him with a big World Cup mural on one of the walls at the school. The school management had doubts when he said he wanted to use the learners, but when it was finished, they were amazed. They told him that the Art Club must do a mural on every wall! Well, they did one more at least: a large South Africa and world map! The peak of the Art Club experience was when the top 17 learners from the last art competition were able to go on a two day trip to Pretoria, the nation’s capital, with all expenses paid by Ulusaba (the local game lodge). A whole new world was opened to them as many of them had never been to the big city. They went from one art museum to another, met sculptors and observed them in their work, went to the movie theater, visited the zoo, and many ate pizza for the first time. The trip motivated them so much that some learners bring artwork to Adam daily in the hopes that they can create something good enough to sell to the tourists at the game lodge. Not knowing the word for artist, they refer to themselves as Art Men! Finally, a large part of Adam’s work has involved computers, from training people on how to use them, to fixing all sorts of problems. Frequently people from the community and surrounding villages bring computers to our house to be fixed. Sometimes they show up unannounced, don’t tell us their names or the problem with the computer (likely because of the language barrier), and just show up several days later to see if it’s fixed. From the beginning of our service 2 years ago, Adam began one-on-one training with educators at both schools, many of whom started from the very beginning: learning how to turn on a computer and move the mouse. Through his training at several schools, he was able to show the educators how to quickly and efficiently enter their grades, have the computer calculate it for them, and print their grade reports. This solved the problem of educators spending days out of class entering and calculating their grades by hand and also boosted morale at the same time. Over the course of time he was able to see which few educators were the most dedicated and took extra time to practice. It is these few educators with whom he has been able to continue more advanced work. It has been Adam’s long-term goal from the beginning to create a computer class for the learners. He now has one educator at each school who has proven to be dedicated and able to teach these classes. Our church back home has recently shipped computers here to South Africa for the purpose of fulfilling this goal. Unfortunately due to timing and delays, we will not be able to see this project through to its completion. 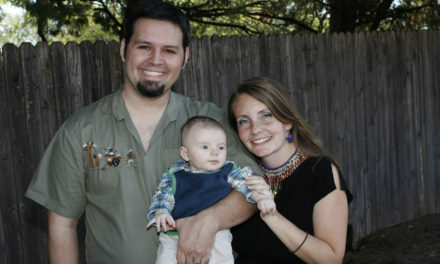 However, there are two new wonderful Peace Corps Volunteers replacing us in the Dumphries community. They are more than willing to follow this project through to its intended goal. 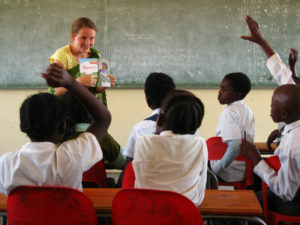 When we joined the Peace Corps back in 2008, we committed to its three goals: to help the people of interested countries in meeting their needs for trained men and women; to help promote a better understanding of Americans on the part of the peoples served; and to help promote a better understanding of other peoples on the part of all Americans. In reflection, Adam and I feel that we have served Peace Corps and our country by fulfilling all three of these goals. Of course, the last goal will only continue when we get home, as you will no doubt hear us talk about the people and the country we have grown to love. Coming as a married couple was a big part of what made us productive and effective. In the community they see us as a family unit, which automatically puts us on a higher level with more respect and trust. On Father’s Day in church Adam was told to stand with the rest of the fathers. He exclaimed that he didn’t have any children, but they said that it didn’t matter because he was married and therefore a father to everybody. Because the family structure in South Africa has been falling apart for decades now, seeing us together for two years has been different and sometimes strange to many people. 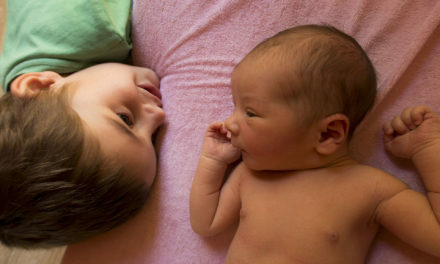 It’s a society where most of the men have moved to the city to find jobs, leaving their family (including wife and children) behind while they often start another family in the city. In sharp contrast, Adam and I are always together. They have seen that we truly enjoy each other’s company, which is unusual in a culture that is so gender separated. Some have learned about our non-boundaries with gender roles when they find out that Adam cooks and enjoys it. 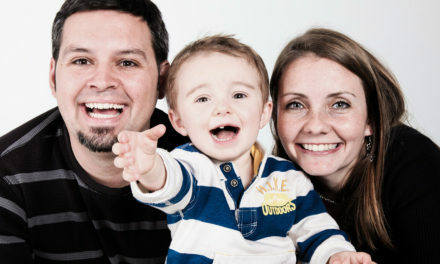 Although some of these things may be oddities in this culture, it’s wonderful when a person can get a new perspective. This gives us great opportunities to explain that many people do the things we do because they are American and it’s the Western culture that has influenced us. Finally, we believe that being a married couple has given us huge advantages in our work. We come as two different people with different skills and desires. I have focused mainly on teaching practices because it’s what I enjoy and feel passionate about. Unfortunately, this sort of work usually stays behind the scenes and often goes unnoticed. Through many of his more visually-stimulating projects Adam has done a lot to make the schools proud of their work and their beautiful school and community. In my point of view we have worked out to be the perfect team. Adam gains credibility with the school for both of us through his computer and mural work, while I work on improving the issues closer to the core of education and development for both the educators and the learners. As Americans, our work here has often been at the forefront of our minds and we’ve always tried to keep ourselves busy. We know the people are overwhelmingly appreciative of what we’ve done. However, work is not the end-all be-all here and we wouldn’t have been able to work effectively without first building relationships. Because ideas of gender inequality are still widespread, being a married couple here has again been a benefit to us. I’ve been able to develop positive and trusting working relationships with the women and Adam has been able to form a bond and friendship with many of the men we work with, including those in management. The key that held it all together was simply this: we opened ourselves up to the people, and although timid with us at first, they finally opened their hearts to us. Years later, some will remember what we did, but most will remember who we are. In spite of their racially charged past, they once had white people from America stay with them, people who were not scared of them, who learned their language, who went to funerals with them, who ate their food, and who had the courage to live and “suffer” with them. This is what Peace Corps does. It breaks down racial and economic barriers and brings peace. Although this is the time to reflect on what we’ve done in our community, thoughts inevitably turn to what’s been done within us. There are so many things that we are taking away from this experience that have changed us so deeply. We will not be the same people when we return home. We’ve been forever altered. 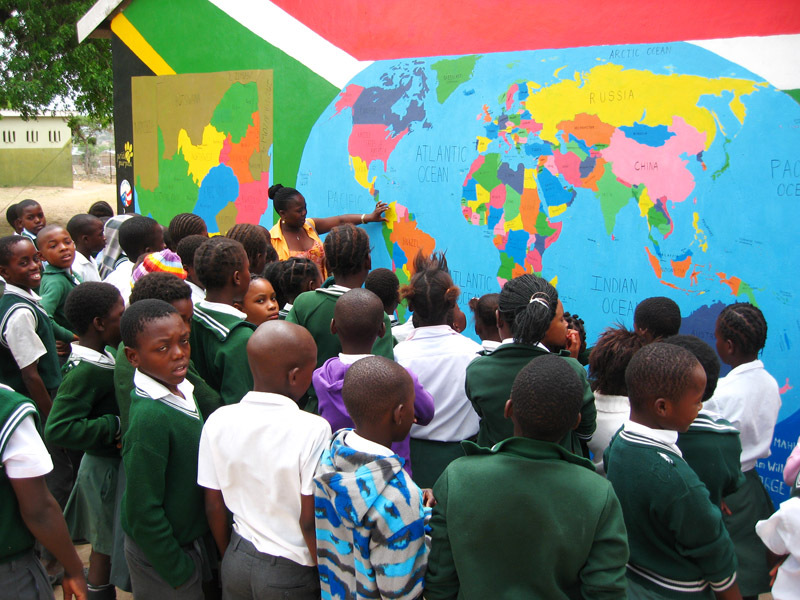 A Grade 4 teacher is using the World Map Mural painted by the Art Club to teach geography to her learners.